Fax to Email, Fax Numbers, Receive Fax via Email. Are you still receiving faxes on a regular fax machine? Move into the 21st Century and have them delivered to your inbox as email attachments. 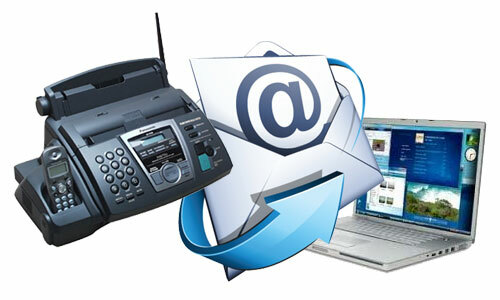 Our Fax to Email service allows you to receive faxes directly to your email inbox as file attachments. It’s an easy and confidential way of receiving, storing and forwarding important fax documents. Many of our Customers find situations where both types of service work within a single organisation. For example, many employees wish to have their own private fax numbers that are secure, and at the same time see value in having a departmental fax number for handling all UK originated fax messages. Cost to Caller: 7p a minute from a BT line. Note: View your faxes with Windows Imaging or Adobe Acrobat Reader.